In partnership with Sheffield Climate Alliance & Regather. Pay as you Feel / £5 Suggested Donation. This ticket covers all sessions from 1-6:30pm, so you can go to as many as you like, or just one you're especially interested in. In the face of overwhelming scientific evidence of man-made climate change, how do we take action to significantly reduce our impact on the world? The challenge can seem too big, too daunting, and while knowledge and understanding are important, just as important is a belief that we can change things for the better. 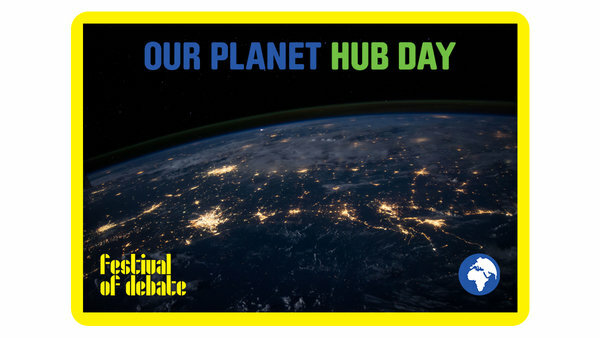 The Festival of Debate Our Planet Hub Day explores many related topics through a range of short concurrent sessions. This event will be followed by a concluding performance by pianist and climate activist Lola Perrin, featuring guest speaker Asad Rehman (Executive Director, War on Want) (tickets sold separately).